Last week, I had the pleasure of sitting down with Elisabeth Veltman, a fellow foodie and blogger, at a local restaurant. Elisabeth is the owner and creator of Tender Foodie, a blog focused on her love of foods and allergy-free cooking. She also owns Blue Pearl Customer Strategies, a marketing strategy and creative agency in Western Michigan, and is working on various other projects including The Tender Palate, a website for The Tender Foodie. The Tender Palate is the larger vision developing in the background, it will provide tools to help shorten the learning curve for people with food allergies. 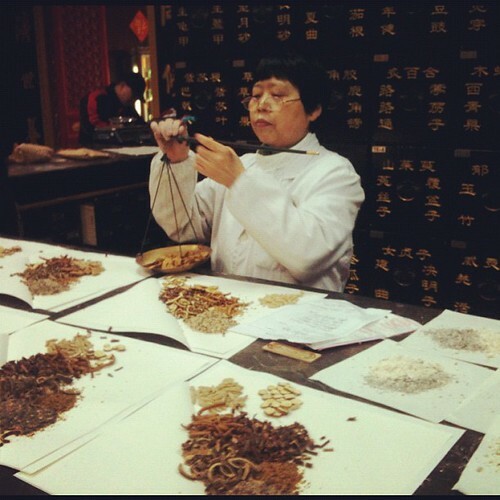 These curiosities and symptoms lead her to seek the advice of a Chinese Herbalist and Medical Doctor. A what? I had never heard of such a thing. As Elisabeth put it, “It’s a rare, but beautiful combination of practice”. According to Elisabeth, this doctor, while attending medical school, also studied with the best cancer herbalist in the world and earned her degree in both vocations. The first time this Doctor met with Elisabeth, she said she could tell without even testing Elisabeth that she was reacting negatively to dairy and gluten. Elisabeth soon discovered that she was reacting to a number of foods. “I cried the first time the Doctor told me what I couldn’t eat anymore,” confessed Elisabeth. “Food was a central part of my life, and I realized that it affects more than your taste buds – it affects every social circle you belong to, and allergens are in the most unexpected places. If I eat something I’m allergic to, I get very, very sick, and have a series of quite frightening reactions, so giving up a particular food (or six) wasn’t the hard part. “I used to call them every Thursday as sort of my little indulgence. They knew me by my number and would answer the phone,’Hello pineapple, ham, and cheese or Pepperoni mushroom?’"
After years of dialing “her pizza guys”, she realized that she couldn’t call them anymore; she couldn’t meet friends there any more. As if on cue, the server arrived at our table and seemed unfazed by Elisabeth’s list of requests. It was eye opening to see how someone with food allergies has to protect themselves and how limited they are. As a chef, I can only imagine what it would be like to be restricted to such a narrow set of ingredients. It would be like an artist limited to using only blue, red, and green. Blah! Our conversation was cut short due to a time commitment, but I felt there was so much more to discuss. I could have sat there all day asking questions and learning about Elisabeth and her change. I’m left wondering how and why there are so many food allergies today. How do people cook and eat on such limited diets, and what are the best resources for people with food allergies? Wonder no more! A visit to The Tender Foodie blog provides all of these answers and more. The Tender Foodie is a place where people with all sorts of food allergies can go to get all sorts of chef-inspired recipes, and many from Elisabeth’s own collection. You can get expert advice and read other personal stories, such as Elisabeth’s. 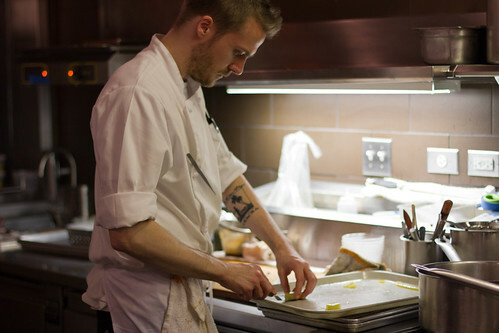 You can find the latest news, rate restaurants, and place food requests from local purveyors. It is a veritable cornucopia of information and ideas, for people with or without food allergies. In the mean time, here are a few recipes from the Tender Foodie you're going to love! Thank-you for introducing this blog, Sue. After you mentioned the blog the other week, I was quite intrigued. The life with food allergies is certainly a challenge, emotionally, mentally, and physically, for anyone dealing with them. I have many friends who have little ones struggling with food allergies, sensitivities, and intolerances and their stories of worry are more than enough to tug at your heart strings... I imagine that Elisabeth is already making an incredible difference in the lives of others by simply sharing her own experience and advice. Great work! You are here: The Smart Living Network ► Nutrition ► Blogs ► Allergen-Free AND Delicious?! Advice from Blogger Elisabeth Veltman of "The Tender Palate"